How do you solve a problem like Tobie? Tobie is a real character, but it is hard to explain. He seems to be confused about everything. He is extremely kind natured, innocent and curious but lacks any common sense! His face always seems to have a puzzled expression on it and you cant help but laugh at the situations he gets himself into. If he wants to inspect something he will just walk right up and put his face as close as possible, regardless of danger (like the time he was curious about the horses tail! Horse rule number 1, Tobie: beware of back ends!). Although that little trait does mean he likes to greet humans nose to nose, which is really sweet. 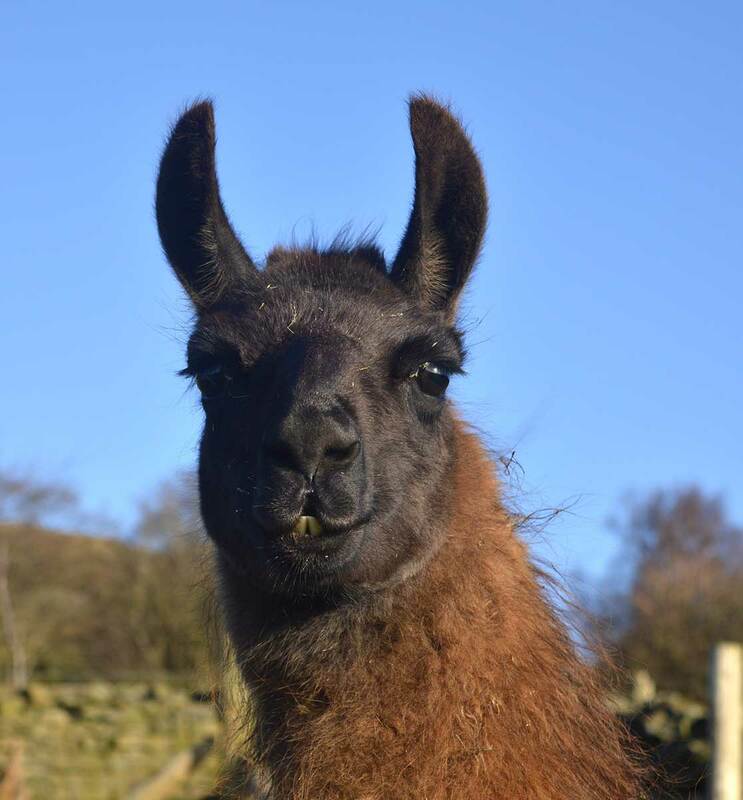 Sometimes we are not sure whether he knows he is a llama, as he doesn’t seem to follow the herd when we want him to… but he will happily follow the sheep/horses/jack russells around the field! He is extremely loveable and a pleasure to trek with, even if he is away with the fairies!